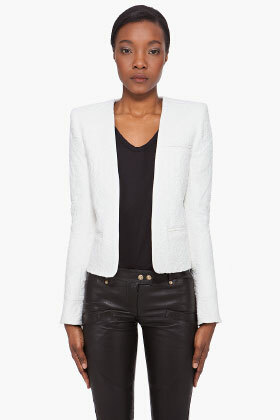 I feel like a white blazer in the Spring does what a black blazer in the Fall. It can be your Spring jacket, as it were. 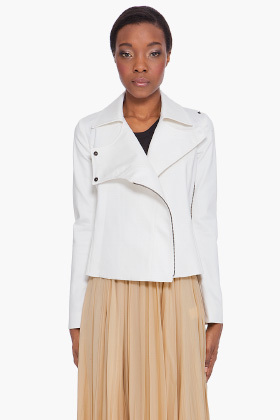 Maison Martin Margiela, except I would wear this open all the way, it looks better that way. 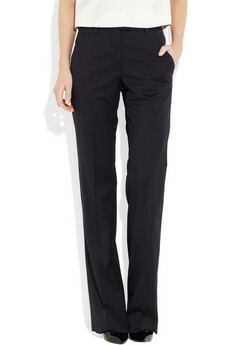 On the topic of Margiela, how about these black spring pants? 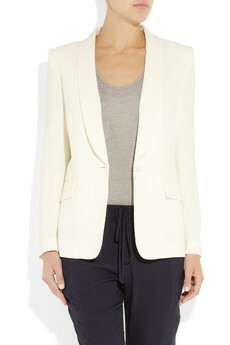 So obviously, you can wear the white blazer with black pants, skinny or wide leg (like my favourite Margiela pants). I usually just wear white underneath, because I am like that. Classic, kind of boring, and conservative. 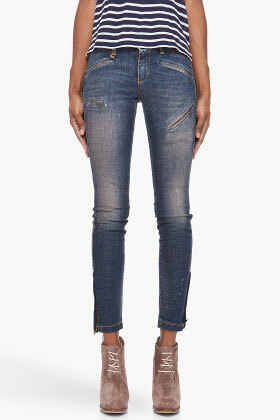 But you can also wear it with denim, easily, particularly these R13 biker jeans. I love these jeans, I have too many pairs of jeans, but I really feel like these are different from all the others, and would really compliment my existing wardrobe, no? 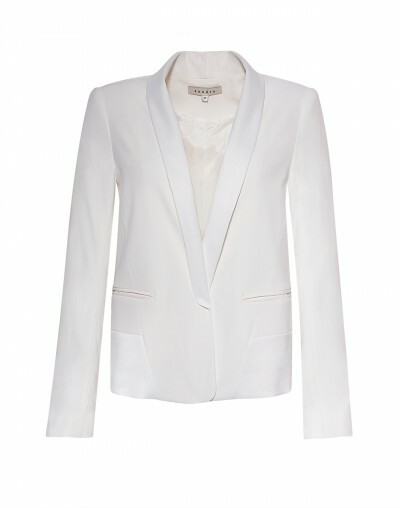 I know, the model is quite skinny.. Doesn’t matter, the point is, a white blazer dresses anything up. It makes you look Spring-y. I highly suggest it.